Pregnancy is a time of change. A mother’s body experiences many adjustments and transformations as new life develops. Some of these changes can affect the oral health of both mother and child. Morning sickness is a very common problem among pregnant. Somewhere between 70 and 85 percent of pregnant women experience morning sickness, which includes severe nausea and/or vomiting. Most women experience it during the first 16 to 20 weeks of pregnancy, but some have symptoms of morning sickness throughout the entire pregnancy! The vomiting caused by morning sickness can have a seriously harmful effect on the teeth. Vomiting brings stomach acid out of the stomach and up into the mouth. Stomach acid has a pH in the range of 1.5-3.5; this is very acidic! Enamel begins to show damage from acid when the pH drops below 5.5. When a pregnant woman suffers from consistent morning sickness, the pH in her mouth is consistently acidic. An acidic mouth predisposes the teeth to acid erosion and tooth decay. Erosion is the slow, gradual wearing away of enamel by a strong acid. In patients with frequent vomiting, the inside of the upper front teeth shows significant damage and thinning of the enamel. Thin enamel causes teeth to look yellow or translucent and become more likely to crack. Thin enamel also makes it easier for bacteria to cause cavities. Morning sickness causes some women to become more likely to get cavities. The bacteria in our mouths thrive in an acidic environment. It is easier for them to penetrate enamel and cause a cavity when the mouth has a pH below 5.5. The hormone fluctuations associated with pregnancy, childbirth and nursing don’t just cause mood swings. They also cause gingivitis, or inflammation of the gums. In hormone-induced gingivitis, the gums become very sensitive and irritable. They are red, swollen, and bleed easily. Plaque is an irritant to the gums, and any overgrowth of plaque is likely to lead to gingivitis. 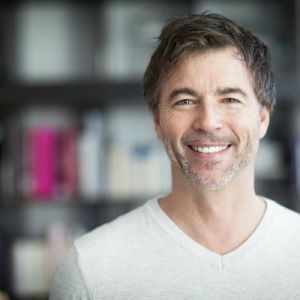 When hormones are rapidly changing, the gum tissue becomes hypersensitive to any plaque buildup. 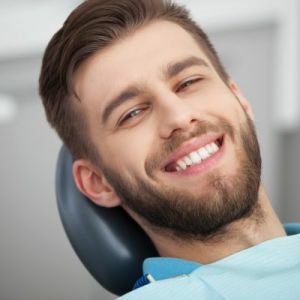 The smallest amount of food debris caught between teeth can lead to a large, tender swelling of the gums that bleeds when you brush and floss. In order to prevent hormone-induced gingivitis during pregnancy, many women need to have professional teeth cleanings more frequently. Every pregnant woman should take special care to perform great oral hygiene at home to reduce the risk of pregnancy gingivitis. During pregnancy, one of the body’s changes is the loosening of ligaments. This is important to allow the body to accommodate the growing baby. This loosening is not confined to the abdomen and hips alone. It can occur anywhere in the body. Some patients experience loose or lax ligaments in their jaw joints (TMJs) during pregnancy and nursing. This can lead to clicking and popping of the jaw joints or changes in the way the joints function. 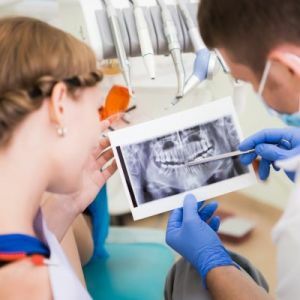 These types of problems are more likely to occur in patients who have had prior joint problems, injuries to the jaw, or a significant history of clenching and/or grinding their teeth at night. A baby’s tooth development begins very early in pregnancy. The primary, or baby, teeth start forming as early as 6 weeks in utero, and the permanent teeth originate between 16 and 20 weeks in utero. This means your child may have teeth developing before you even know you are pregnant! How you care for yourself during pregnancy can affect the developing teeth of your baby. All of the following factors can result in defects of both the baby teeth and the permanent teeth in your growing child. What happens if you have a tooth problem while you are pregnant? There are some important factors to consider during pregnancy. Most dental x-rays are safe during pregnancy. The American College of Obstetricians and Gynecologists Committee on Health Care for Underserved Women reported in 2015 that x-rays are generally safe during pregnancy. Most dentists will forego taking dental x-rays on pregnant patients unless an emergency or toothache makes it necessary. If you do need an x-ray during pregnancy, make sure a lead apron covers both your thyroid and your entire abdomen. Dental problems causing infections must be treated to prevent any risk to the baby. Severe gum disease or large cavities need treatment as soon as possible. Your dentist will coordinate any needed treatment with the approval of your obstetrician. Local anesthetic (a numbing injection) does not harm the baby. Nitrous oxide, or laughing gas, can be harmful to the baby and cannot be used during pregnancy. 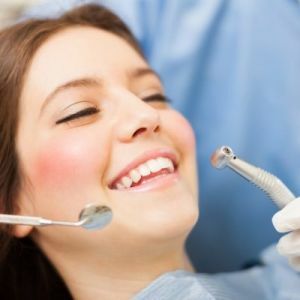 If you desire laughing gas for all dental procedures, then you cannot have the procedures completed during pregnancy. Please discuss your other options with your dentist. 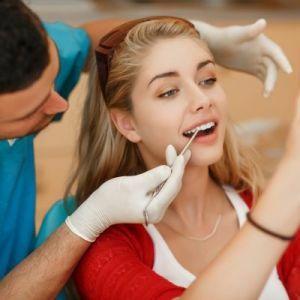 When it comes to caring for your teeth during a pregnancy, you have to take your preventive dental care up a notch. Morning sickness makes you more susceptible to cavities and acid erosion. 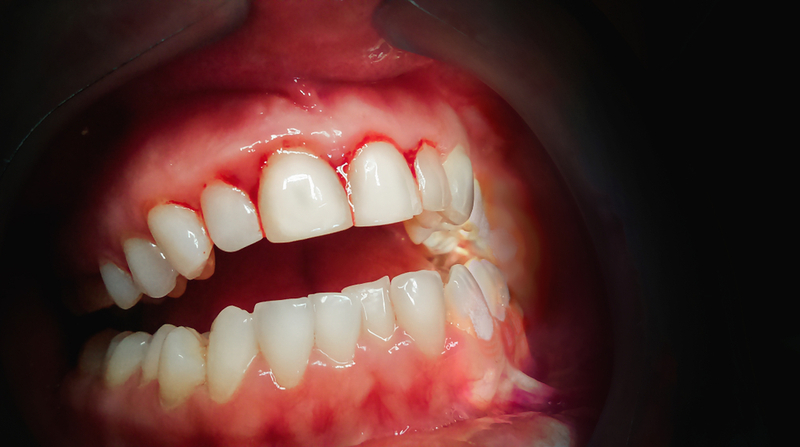 Hormone swings cause a higher risk for severe gingivitis. Loose ligaments give you a greater chance for TMJ problems. A severe dental infection can affect your baby’s developing teeth. To reduce the risk of cavities and acid erosion from morning sickness, do not immediately brush your teeth. Instead, rinse your mouth with plain water, and chew some sugar free gum to stimulate saliva. These steps will bring the pH of your mouth back to neutral. To lower the chances of gingivitis, schedule more frequent professional teeth cleanings with your dental hygienist. Your oral hygiene routine at home should include twice daily brushing, nightly flossing, and rinsing with a mild alcohol-free mouthwash. This routine will reduce the accumulation of plaque buildup and lower your chances of inflamed, tender gums. If you are at risk for TMJ problems, follow all of your dentist’s recommendations, including wearing your prescribed nightguard regularly. Avoid hard, chewy foods and baby your jaw joints. Lastly, reduce the chances of a dental emergency during your pregnancy by keeping up with your consistent dental visits. When caught early, dental problems will not affect your baby’s health and development. More Questions about Pregnancy and Oral Health? Call Definition Dental today to schedule a consultation with us. We can assess your current situation and help you be as preventive as possible throughout your pregnancy.